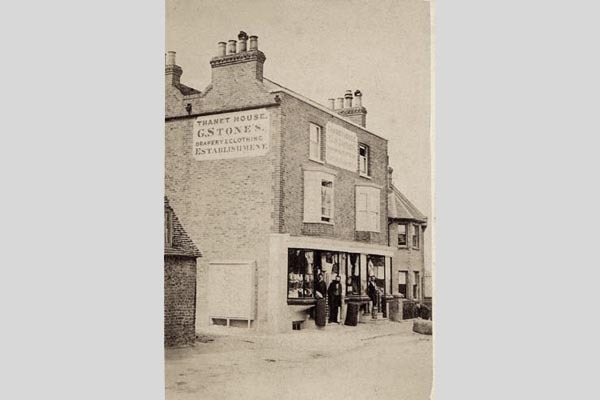 Thanet House was occupied by G Stone draper, annd later (from 1930's to 1950's byCornford's, who contracted into the left-hand half of the shop until the 70's. The lright half became Thanet Fruiterers, and is now Picture This, a framer. The left hand side became Just Beauty, thenCaroline's Face Place, thenFunky Divas.